Going one-on-one with Robert Sacre as he enters his final NCAA Tourney. About an hour after learning that his Gonzaga Bulldogs have received a respectable seventh seed and would be heading to Pittsburgh to face West Virginia on Thursday, Robert Sacre casually strides his 7-foot frame across the floor of a McCarthey Center occupied only by a few of his teammates and a gaggle of reporters. He smiles at the assembled media. Cleary, this is old hat for the Canadian center and team captain, whose college career will come to an end at some point during this NCAA tournament. “Here’s 10th-year senior Robert Sacre,” an ESPN radio host says. Sacre, dressed in baggy shorts, a backward baseball cap and a sweatshirt, unleashes a laugh that’s become familiar to Gonzaga fans. “Come on. You make me seem so old, man. I’m not that old,” says Sacre. He’s right. He hasn’t been in Spokane for 10 years. It’s actually only been five (he was granted an extra year of eligibility after spending almost all of his sophomore year injured), but Sacre has left his mark both on the court as an imposing defender, and off the court as a jokester. He’s also the elder statesman of this year’s relatively young Zags squad. “If I’ve learned anything from him, it’s how to be a leader,” says fellow big man Elias Harris. 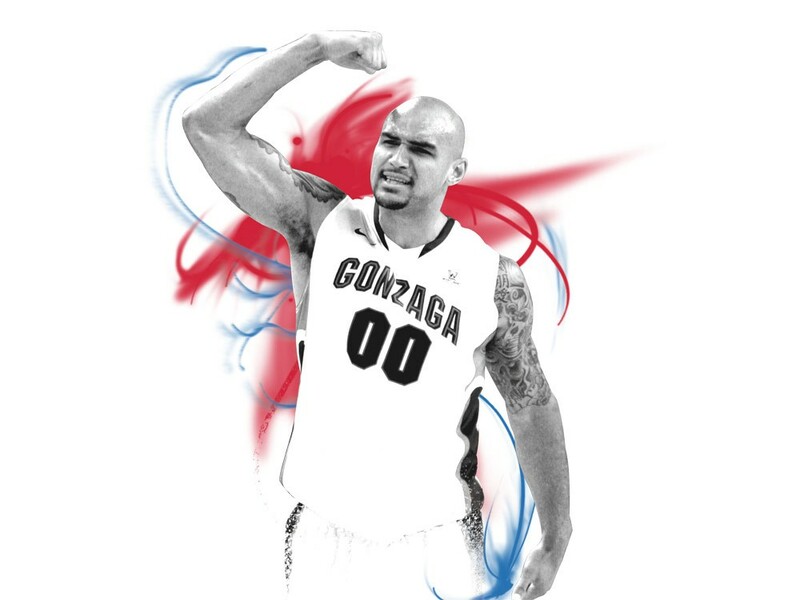 Before he heads off to take his place among the all-time Gonzaga greats, The Inlander chatted with Sacre about basketball, his love of Spokane, and (for some reason) horses. I was on a club team in Canada and I was really young, so they gave me this nickname, “Sugar.” I was like, “This is the dumbest name I’ve ever heard of.” ... That same year I went to see my great-uncle and he gives everybody nicknames. For some reason he called me Sugar Boy. It was pretty random, but it stuck after that. You’re always nervous to know where you’re going to be, or if you’re even going to be in. Even if you win your conference tournament, it feels like you’re not going to get in. I remember last year we were the last slot in the tournament, and that made me sick. Even though we might not like them — well, we like them as a group of guys or whatever — but the program is in the WCC, so we need them to be successful to show that this is a good conference. That’s important to show the country that this is not a normal mid-major. This is a great city. Aw man, I love this city. This city is so underrated. When it’s summertime in the 509, it’s awesome. ... When there’s some event in [Riverfront] Park — and there’s always an event in the park — so anytime there’s something going on in the park, I’m there. I want to buy some property up north. Maybe up by Green Bluff or something. Yeah [laughing] I’ll be all tatted up in overalls and all that. No question about it. You know, I’m excited. [He looks up as a hail storm ricochets off the roof of the McCarthey Center, filling the arena with an unsettling rumble.] We’re bringing down the house here. [Looks up at the ceiling again] But I’m excited to be in this tournament. It’s great to have that feeling that it’s your last game, and you know you have to play balls-to-the-wall and be really hungry.